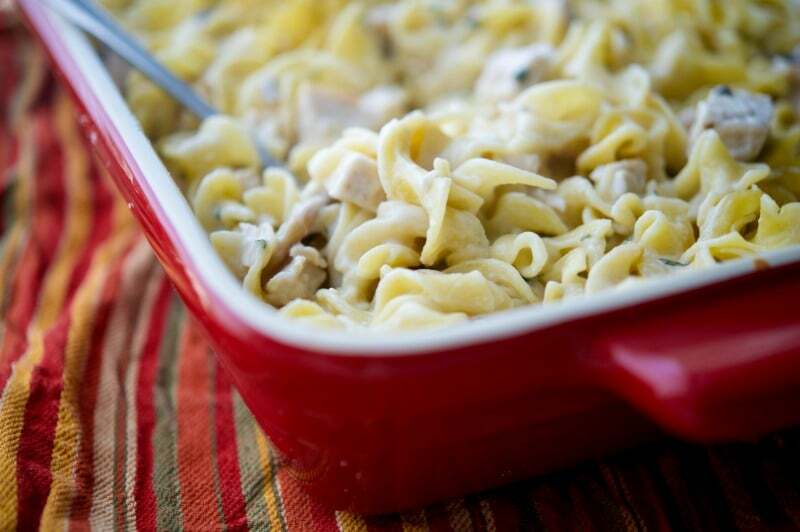 Utilize leftover turkey from your holiday celebrations and turn it into this Turkey Stroganoff Casserole in a creamy sauce mixed with egg noodles. Whenever I host Thanksgiving the turkey I buy is always too big. Well not necessarily too big, it is the right size for the number of people I host, but between all of the other food we have we’re all so stuffed when it comes time for the main event we can hardly eat anymore. My family loves to try at least one new recipe each year, then everyone has their ‘must-haves’. For appetizers, my husband loves these stuffed mushrooms, my kids love my mother-in-law’s stuffed clams and we usually have some type of baked brie or other accouterments my brother-in-law might bring. Next, we have the pasta or soup course; though I’m not quite sure which one I’ll be going with this year yet. After that, it’s time for the main course featuring the turkey and sides. These are the recipes we always have to have: Portuguese Stuffing, Crown Royal Mashed Sweet Potatoes, Green Bean Casserole, and Cranberry Sauce; then I usually make regular mashed potatoes for my father in law and a healthier steamed vegetable. All of this and that doesn’t even include dessert! Now, do you see why we always have turkey leftover? I’m not complaining because then I can make new recipes out of what’s left like this Turkey Stroganoff Casserole. 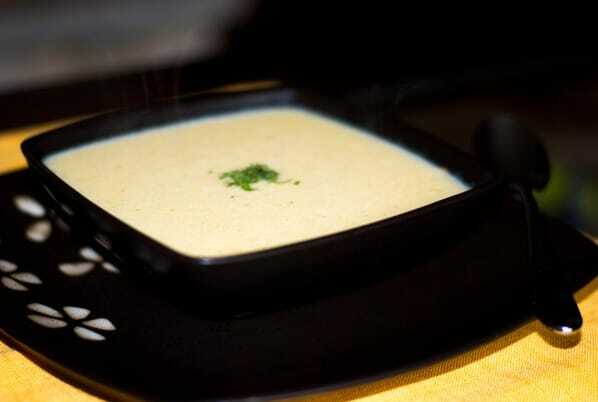 You can make this ahead of time, freeze, defrost and reheat; however, I would add a bit of milk to help loosen up the casserole as the noodles will absorb a lot of the liquid. 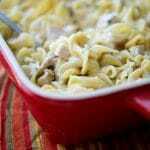 For this recipe, you’ll need butter, mushrooms, parsley, flour, chicken broth, sour cream, cooked diced turkey, Pecorino Romano cheese and egg noodles. 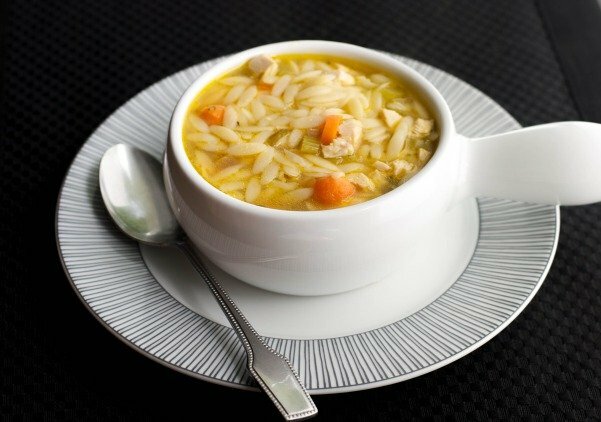 Start bringing a large pot of water to a boil; then partially cook your egg noodles until they are soft, yet not quite done. You don’t want them too soft because they will continue cooking once you bake them in the casserole. While the pasta is cooking, melt your butter in a large frying pan; then add your mushrooms and parsley. Cook for 2-3 minutes until the mushrooms soften; then add the flour. Next, add your chicken broth, diced turkey, sour cream, and cheese. Add the mixture to your par-cooked egg noodles; then mix well. 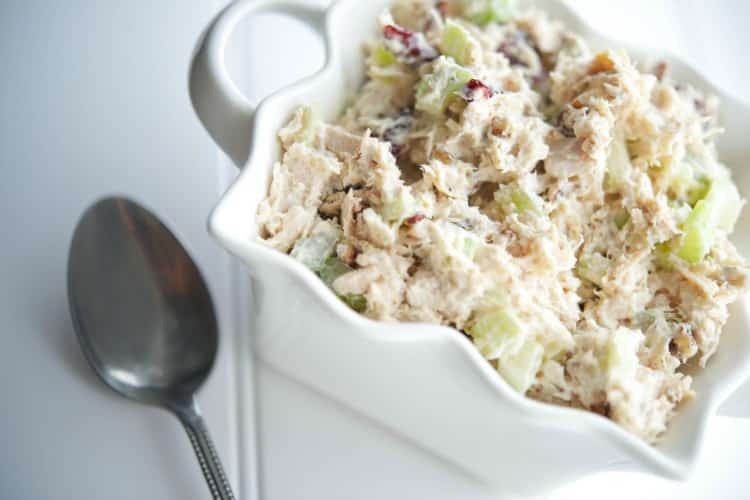 Place the mixture in a 9″x13″ oven safe casserole dish and bake for 30 minutes or until the casserole is hot and bubbly. 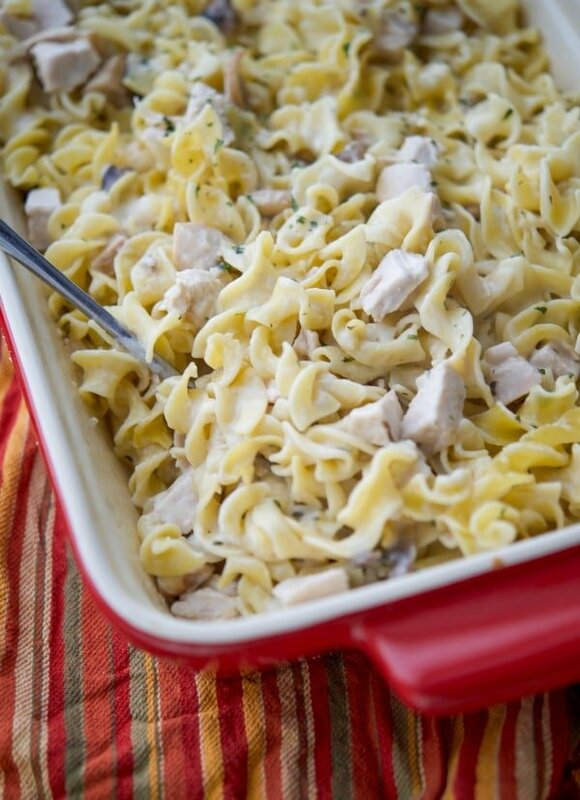 My family loved this Leftover Turkey Stroganoff Casserole and it was so easy to make. Don’t wait for Thanksgiving to make this recipe; you can use leftover roasted chicken or buy one of those rotisserie chickens at your grocery store. ~Enjoy! While the pasta is cooking, melt your butter in a large frying pan; then add your mushrooms and parsley. Cook for 2-3 minutes until the mushrooms soften; then add the flour. Next, add your chicken broth, turkey, sour cream, and cheese. Add the mixture to your par-cooked egg noodles; then mix well. Place the mixture in a 9"x13" oven safe casserole dish and bake for 30 minutes or until the casserole is hot and bubbly. *Cooked chicken can be substituted for the turkey. How do I prepare my turkey (with a simple recipe for Butter & Herb Roasted Turkey)?